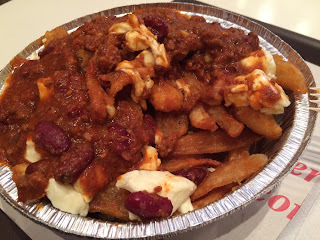 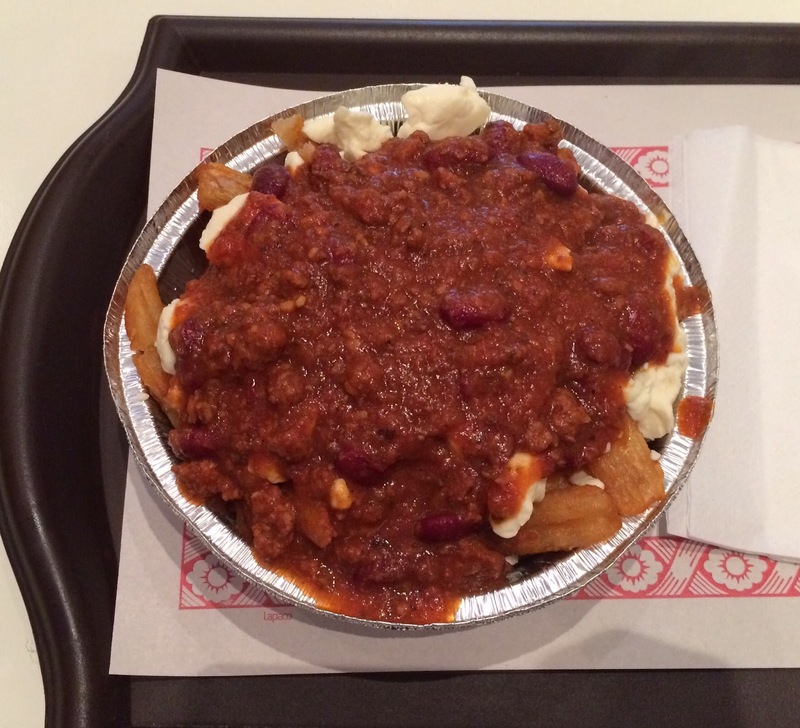 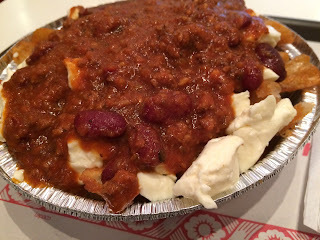 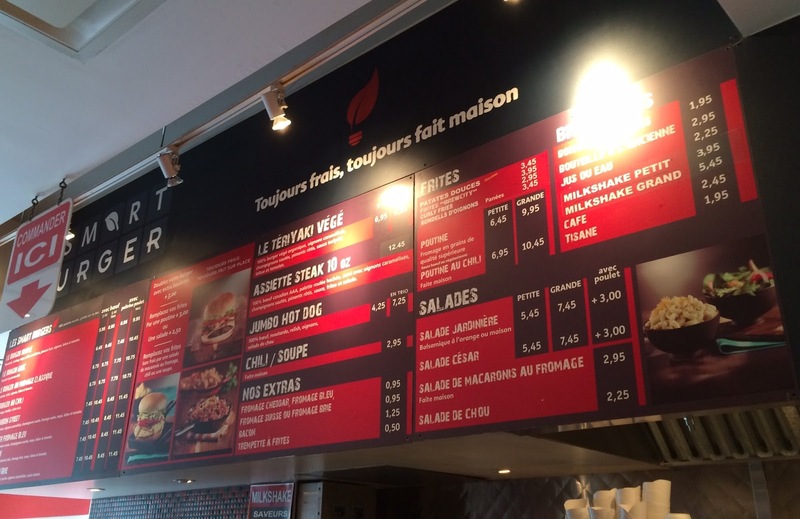 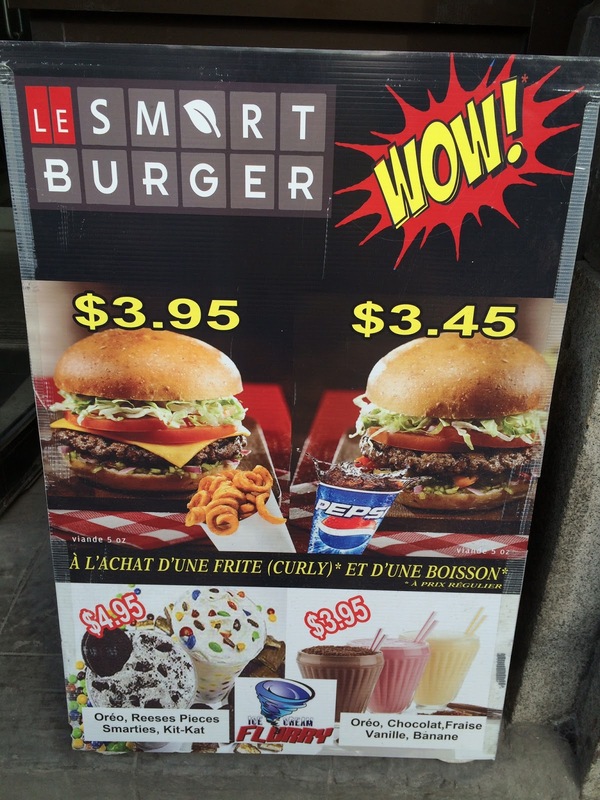 For my last poutine for this trip, I went to Le Smart Burger to have a Poutine Au Chili, a poutine with chili. 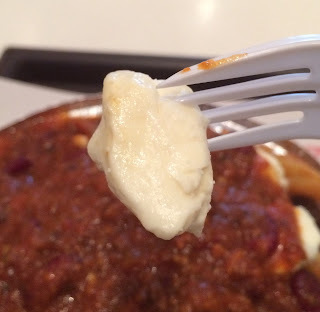 My husband said he didn't like the gravy but liked the chili, so I chose the latter sauce. After placing my order, they started frying potatoes and I knew I'd be getting freshly fried crispy pieces. 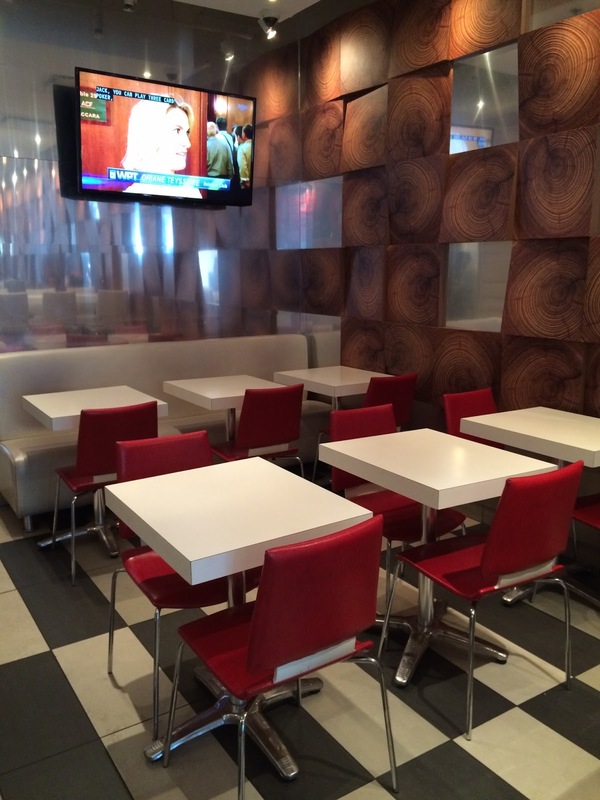 There're counter tables and regular tables, and the restaurant had about 3 times more seatings than this photo shows. 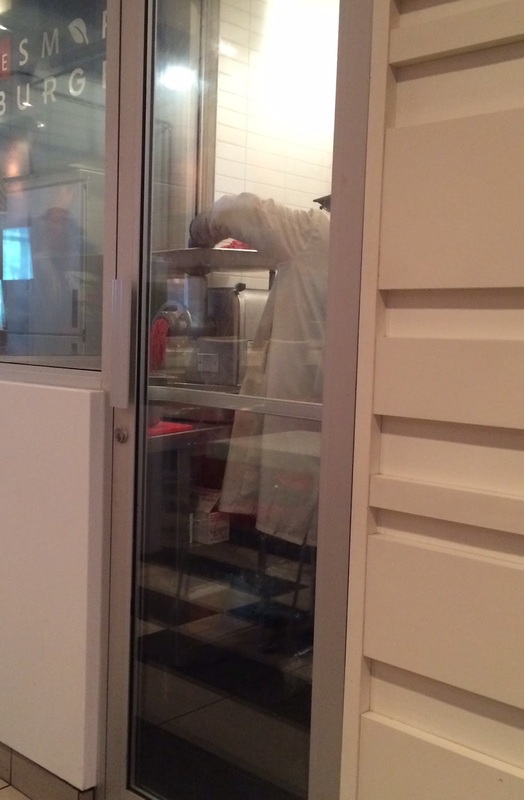 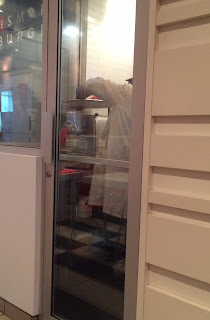 There's a little booth where a guy in a lab coat was mincing meat. When the fries were cooked, they put lots of cheese curds and chili over the bed of fries. 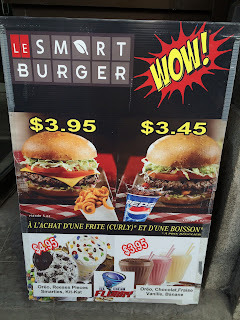 I was surprised to see the portion for the price (6.95 CND dollars before tax), but also I thought it's because of the location. 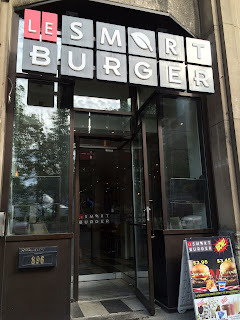 This restaurant is located across from McGill University and maybe they serve large quantity for students for a little money. The chili was quite good and seasoned with some herbs, especially with oregano. 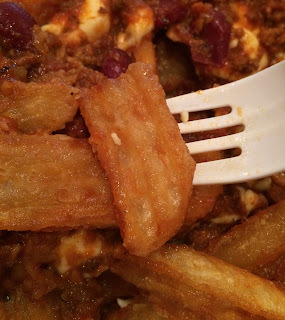 It's not too salty but very flavorful, and I could see lots of ground beef and kidney beans. 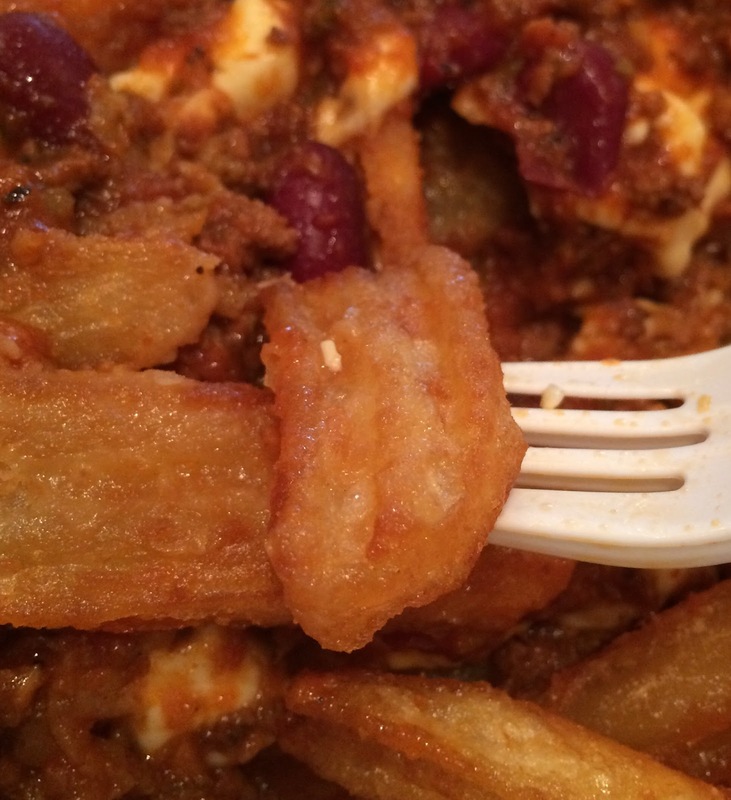 The cheese curds were rather hard than squeaky, and I feel like I've had this cheese curds before, like one of the bags sold at supermarkets. 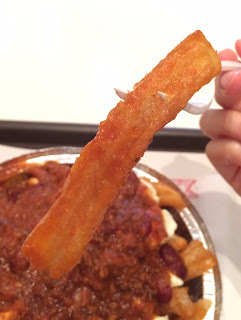 Fries were rectangle, and lightly browned and very crispy outside. Each fry had a shallow channels that created crispiness and also helped chili get caught well on the fries. The portion was so large and the fries were there endlessly.